The Resident Tourist: ClassPass . . . Lately I've really gotten into supplementing my personal workouts with a couple group classes throughout the week. It's a great way to mix things up, plus reserving a spot in a class always keeps you accountable which helps on the motivation front. So last week when I was catching up on my daily news summary (TheSkimm) and saw a recommendation for ClassPass - I had to click the link. After reading more about it, I'm completely sold on the concept. For $99 a month you get unlimited access to classes all over the city (think: Barry's Boot Camp, Flywheel, ChaiseFitness, and hundreds more). I honestly can't imagine a better deal. 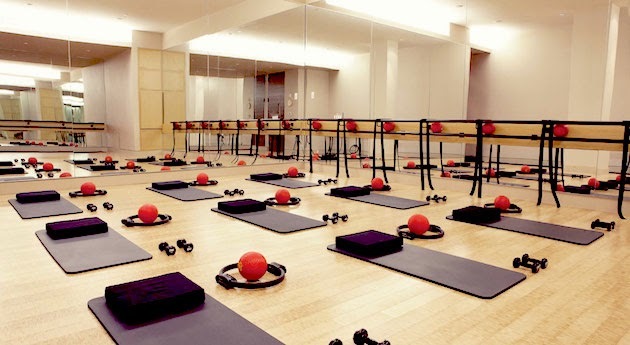 If you're a dedicated class attendee that forgoes paying a gym membership for a $30 spin or yoga class 3x a week, ClassPass might the perfect alternative. I signed up for a $10 one-week trial, and can't wait to get started. If I come across any classes that I love, I'll be sure to let you know! And one more thing, ClassPass is available all over the country, and even in a few international locations. Check out the full list of participating cities HERE. PS. Do you read TheSkimm? It's my favorite news summary - quick, yet comprehensive and well written. It also ends with fun tidbits (this is how I learned about ClassPass), like book suggestions, giveaways, shootouts, etc. I purchase work out gear in many colors. The raisin and heather charcoal have the same feel and weight as the black ones. A thicker cotton feel. I did find the raisin to be a tad bit larger and seemed to have more stretch.